"This is a big year for athletics for we have the world championships in Moscow in August. I will be competing in both my events, the 800m and the 1,500m, and my goal is to run the 1,500m in under 3:30 and 800m in under 1:43. I want to settle for nothing short of gold in both these events." - Olympic 1,500 champ Tawfiq Makhloufi. RRW Often Ignored, Aaron Braun Is Now Amongst The Top Americans He went to a DII school and thus isn't very well known despite his 27:41. *Good Preview Of Houston Marathon And Half: Elites Looking To Still Run Fast Despite The Weather 4th fastest half runner Atsedu Tsegay Tesfaye (58:47), chasing $50,000 bonus for breaking 58:23 WR, is up against last year's champ Feyisa Lilesa (2:04:52/59:22), 2:05 man Wilson Erupe, and Americans LukePuskedra, Ben True, Aaron Braunand Patrick Rizzo. In the men's full, 2:05 Man Bazu Worku leads against Debebe Tolossa, Andrew Carlsonand Fernando Cabada. For the women's full, 2011 NYC runner-up Buzunesh Deba leads against 2:23 woman Merima Mohammed and US's Tera Moody. The women half runners are led by Caroline Kilel, last year's full marathon champ Mamitu Daska and Lisa Uhl. We liked Puskedra's quote: "I'm glad [the race] is in the rain - anything to make it tougher. If the course could grow grass, that would be even better." Good Read: (Updated with photo) RRW Article On 2011 NYC Marathon Runner-Up Buzunesh Deba And Her Husband Worku Beyi, Who Started Training Her When They Were Only Teenagers She was originally going to run NYC. We are big fans of them as they are big LetsRun.com fans. Lisa Uhl Blogs About Her Prep Ahead Of Tomorrow's Houston Half Marathon "I don't really know what I'm capable of accomplishing on Sunday, so I'm setting no limit and I'm ready to take a risk." Today: Euro XC Champ Fionnuala Britton The Favorite To Defend Her Title At Antrim XC Meet In Northern Ireland She'll be up against Euro Under-23 XC champ Jess Coulson. Kenyan Mike Kigen is the men's favorite. *After Their Women Had A Major Breakthrough To Win European XC Champs, Ireland Might Not Even Send A Team To World XC Champs In Poland This March Not every individual is committed to actually running World Cross. Seems to be a common problem among non-African nations. Sunday XC Meet In Elgoibar, Spain: Road 10k/15k WR Holder Leonard Komon The Favorite Over Euro 2-Time Silver Medalist Ayad Lamdeassem In other news, in Rovereto, Italy, Ethiopia's World Junior 5,000 champ Edris Muktar will race Ukraine's vetran XC champ Sergiy Lebid. Lornah Kiplagat's Tartan Track In Kenya Will Be Part Of Lornah Kiplagat Sports Academy For Underprivileged Girls The Academy will be a bridge between form four and university for talented girls from disadvantaged families. Recommended Read: The Guardian: Ten Questions That Oprah Winfrey Should Ask Lance (link fixed) #2 is key in our book. Cycling became rife with drugs in large part because of Lance. Don't believe us? Then we guess you don't realize that Lance's 1st Tour win came right after the Festina affair and Lance once attacked the one clean guy on Festina as he had the gall to say he was "shocked" by Armstrong's performance. *Great Read: WSJ's Jason Gay: "What Lance Wants From Oprah"
London 2012 Legacy Story Off To A Good Start, Claims Coe A new BBC Radio 5 live poll has found that around one in five people have been inspired to play sport by London 2012. Swedish 100-Metre Hurdler Susanna Kallur Is Pregnant And Will Miss 2013 Season The woman who was 4th at worlds in 2007 missed 2012 with injury. Today: Patrick Tambwe Will Try To Defend His Title At The Tiberias Marathon In Israel Last year he won in 2:07:29 which was the fastest marathon time by a European for almost four years. 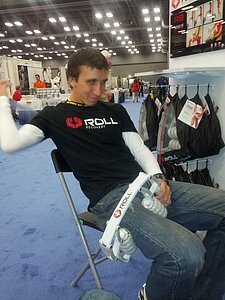 Houston: Q&A With Luke Puskedra Ahead Of Sunday's Houston Half Marathon Where He Hopes To Break 1:01 Last year he ran 1:01:36 and feels he's in a lot better shape this year. Satuday In Kenya: Last Meet In KCB Athletics Kenya XC Series Will Decide The Overall Winner Of The Almost $14,000 Jackpot 2010 World XC champ Emily Chebet is the favorite in the women's field. Writer Says New Kenyan Sports Bill "Has Grey Areas"
LRC Bay Area Cross Challenge This Sunday Features Team Challenge With Participants Racing With Elites Elites racing include Magdalena Boulet, Shannon Rowbury and David Torrence. Good News For The Sport: All Three USATF Championship Series Indoor Meets To Be Broadcast Live They are New Balance Indoor Grand Prix (2-Feb), the Millrose Games (16-Feb), and the USA Indoor Track & Field Championships (1-3-March). Outdoor: 2013 Will Be The First Time Oregon State Has Hosted A Track Meet Since 1988 They'll host on March 23rd and then the first OSU High Performance Meet on April 26th. 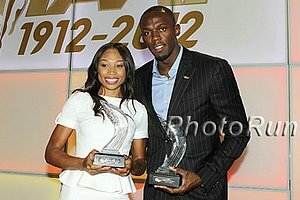 Usain Bolt And Shelly-Ann Fraser-Pryce Win Jamaica's Win Golden Cleats Awards Glen Mills took the JAAA Coach of the Year Award. Galen Rupp Will Battle With Olympic 5,000 Silver Medalist And 2012 WLer Dejen Gebremeskel In New Balance Indoor Grand Prix 3,000 On February 2nd The field will also include World Junior 5,000 champ and the second fastest man in 2012, Hagos Gebrhiwet. Jenn Suhr will highlight the pole vault. *Indoor Season Kicks Off In Russia: 2004 Olympic 800 Champ Yuriy Borzakovskiy Wins 1,000m In 2:24.27 Olympic 800m bronze medallist Yekaterina Poistogova dominated the women's 1,000m, winning in 2:39.61. Good Read: Adam Nelson Speaks On What Needs To Change In Track And Field In Order For The Sport To Survive And Grow "Maybe we should focus on the smaller fixes, but it delays the inevitable. We're going to have to address the issue of truly professionalising our sport or we will have to accept that our sport only survives on the Olympic coattails." RW Q&A With Sheila Reid On Her Adjustment From College To Professional Running She's still at Villanova being coached by Marcus O'Sullivan. Upcoming, she'll race Millrose and Boston GP indoors. 18-Year-Old Ethiopian Muktar Edris Gets The Win Over A Deep Field In Campaccio XC Race As Kim Conley Gets 4th For The Women He beat out John Kipkoech (12:49 5,000) and sub-27 man Geoffrey Kirui by less than a second as Moses Kipsiro was 4th, Leonard Komon 8th, Euro XC Champ Andrea Lalli 9th and Scott Bauhs 10th. Debele Degefa won the women's race in a close sprint with Afera Godfay as Conley was 4th and two-time WC steeplechase bronze medallist Milcah Chemos 6th. *African 5,000 Champ Mark Kiptoo Wins XC Meet In Amorebieta, Spain Over Vincent Kiprop Chepkok In 3rd Magdalene Masai (younger sister of Linet Masai) dominated winning by 5 seconds. *Xiamen Marathon: Negari Terfa Wins With A CR 2:07:32 As The Former Record Holder Peter Kamais Was 5th (2:09:53) Fatuma Sado won the women's race in 2:27:35 as 2:21 woman Eunice Jepkirui was 2nd in 2:30:00. Recommended Read: An Look At The Routine And Level Of Dedication Used By Meb Keflezighi To Keep Him Running PRs Even At 37 Years Old His routine: Wake up. Stretch. Eat. Run. Drink recovery shake. Complete drills. Stretch. Ice. Eat. Return messages. Nap. Snack. Run. Go to the gym. Do core and strength training. Stretch. Eat. Massage. Compression. Stretch. Sleep. Repeat. 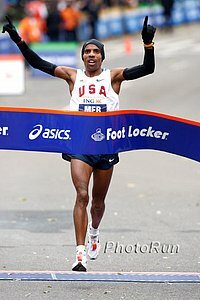 Meb says, "I like routine. There are no shortcuts to getting to the starting line healthy." Sprint Stuff: Bond > Bolt? Usain Bolt #2 On AskMen.com's Top 49 Men Of 2012 List James Bond was #1. Photo Of Galen Rupp's Backyard Which Shows Him Training In His Own Personal Underwater Treadmill Article also reveals that Rupp will race on January 12th at the University of Washington Indoor Preview. Lukas Verzbicas Says He's Back In Full Training And Will Race March 9th Talking about leaving Oregon, he said, "I realize I made a rash decision to leave so soon probably not giving it enough time to get settled in and it seems karma has a funny way of working on us ..."
RIP: Olympic Marathon Trials Runner Johanna Olson Dies From Brain Cancer She finished 7th in the 2003 Twin Cities Marathon in 2:43:27. Edward Cheserek Has Narrowed His College Search Down To 5 Schools NAU, University of Arizona, Oregon, Portland and Villanova. Reuters: Deranged Bottle Thrower Snuck In Without A Ticket And Wanted Bolt To Lose The judo medallist who grabbed him was right on when she said, "Dude, are you crazy?" The answer is yes - the question is, "Does that make him not guilty?" BBC: Bottle thrower also allegedly said, "Bolt, I want you to lose ... Believe in Blake, no Usain." 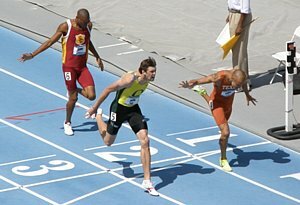 Sprint News: Asafa Powell Believes Key For 2013 Is "Not Training Much"
WSJ: "Is Adrian Peterson Nuts To Want To Beat Bolt? In A Word, Yes" In high school, he rain a wind-aided 10.33, but more recently in 2007, he ran a 4.38 40-yard dash, which the WSJ roughly converts to about 11.98 seconds for 100m. We think the conversion is ludicrous as do others. *MB: Does the WSJ not do any research? 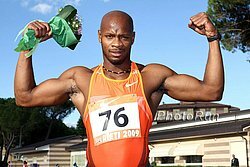 He Can't Get Much Worse Than His Olympic Final: Asafa Powell: "I know that my best race is yet to come." 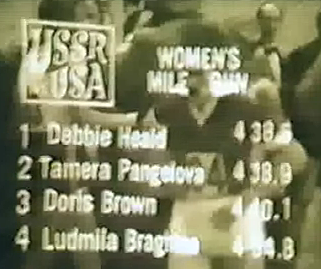 "When I ran the world record, I wasn't training much. When I don't train much, I stay healthy, and this year I was training a lot, that's why I got hurt." TFN's Women's Top 10 Rankings For 2012 Are Out Shannon Rowbury at #5 is the highest ranked US woman in the mid-d or distance events. Somehow Jenny Simpson, who bowed out in the Olympic semis and was the 35th-fastest woman on the year, was ranked #10. MB: Jenny Simpson World Ranked #10 for 2012? Really? Suzy Favor Hamilton Loses Another Sponsor In The Wisconsin Potato And Vegetable Growers Association Disney was one thing, but losing the Potato and Vegetable Growers Association has gotta hurt. Molly Huddle Defers Med School To Keep Running "I'm lucky to be doing what I'm doing. There's an expiration date. You have to see what you can do. I'm not taking any classes or doing any part-time jobs." Good IAAF Profile Of Arizona University HJer Brigetta Barrett, Who "Emerged From Relative Obscurity" To Win Silver At The London Olympics "I remember one person told me, 'You're here for fun, and we're out here thinking about how we'll eat.' In my mind, I was like, OK, I understand what you're talking about but, at the same time, I'm hungry, too. It doesn't matter if I'm trying to feed a family or not; I'm still going to go out there and take what's mine." *Husband Reacts With Compassion "Yes, I knew. We were essentially separated the past year. We are trying, with help, to see if we can make it work. Suzy is a good person who went down the wrong path, obviously." The Bowerman: LSU's Kimberly Duncan And S. Utah's Cam Levins Win The 5k and 10k champ Levins won on the men's side over the 100 and 110H champ, but there was even more intrigue on the women's side. Duncan had an incredible season as she won two individual NCAA crowns in the 200, was runner-up in the 100 and was on LSU's winning 4 x 100 and runner-up 4 x 400 teams, but one LRC visitor at a minimum is irate that Arizona's Brigetta Barrett didn't win. How do you top being being undefeated for the collegiate season and then winning an Olympic silver? *MB: So an undefeated collegiate woman who won an Olympic silver medal isn't the NCAA track AOY - a non Olympian is? 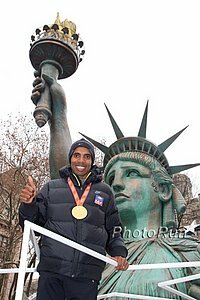 Salazar: Mo Farah Completed Toughest Olympic Double In History "Mo Farah's double gold at London 2012 was the greatest distance running achievement in history, according to his coach Alberto Salazar." BBC: Salazar Compares Mo To Other Double Olympic Champs - "He's surpassed them by far." Salazar: "I knew Mo and Galen were ready when they wanted to play Fifa Soccer instead of go to their last track workout." Listen Here: BBC Interviews US "Super Coaches" Dan Pfaff & Alberto Salazar For 2 Hours LRC has always said John Kellogg and Pfaff are the only two people we know who are geniuses when it comes to track and field. We think Salazar's quotes come from this piece. Sad News: Two-Time Foot Locker Finalist Arrested For Murder Eric Kweder, who has popped up in a number of threads over the years, was 9th in 1995 as an 11th grader - one spot ahead of eventual Olympian Jonathan Riley. Kenenisa Bekele Builds His Own Track/Runner's Paradise In Ethiopia And Hotel For Athletes Wishing To Use It It is in an area with 20 miles of forest trails in the mountains as well as flat woods right behind the hotel. He says he spent $1.5 million on the track, which currently has 6 lanes, but he plans on adding 2 more and adding seating so they can host elite track meets. Today's Weird News: Runner Mistaken For Gunman Leads To Pennsylvanian Elementary School Lockdown Some 4th graders saw a man in a black sweater and black-hooded mask running near the school. Marathon Legend Toshihiko Seko's Team Has New Sponsor And Seko Has A Huge Goal - A Marathon Olympic Medal At The Home 2020 Olympics "We are going to produce athletes who can win a medal in the marathon at the Olympics. With the Olympics coming to Tokyo in 2020 we're not interested in anything else. I hope others will share in this dream." Japan's Denryoku Team Is Cancelled Problems in the power industry result in the cuts for the team that was 35th out of 37 at the biggest Ekiden of the year. Good Competitor Q&A With Meb Keflezighi Talking About Boston And His Running Plans As He's Getting Older "It's the one thing missing on my résumé. 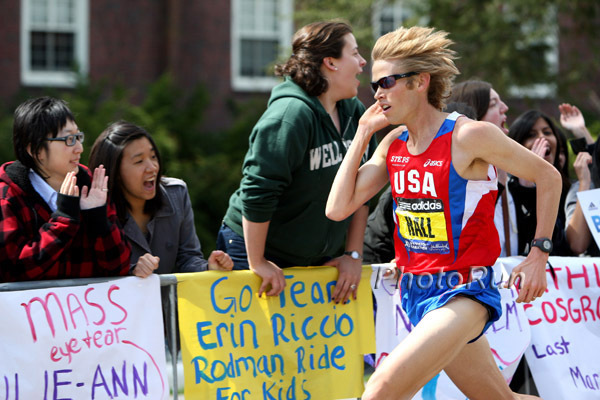 And my goal is not just to run Boston, but to win Boston." Dathan Ritzenhein Most Tested US Runner In First Part Of 2012 He was drug tested 17 times in the first nine months of 2012. Canadian Miler Nate Brannen Dropped By Saucony After Best Season Of His Career Brannen missed out on the final in London when he was tripped just after halfway in. Usain Bolt And Jessica Ennis Top Track Twitter Charts With The Most Followers Mo Farah, Lolo Jones and Oscar Pistorious are 3-5. Usain Bolt After Winning JAAA Golden Cleats Award: "It doesn't really get any better than this." "You're double Olympic champion, World record holder, broken every World record possible, I've won every title there is to win, so for me, it's just about trying to add on, trying to do more." British Policewoman With 3:55 Marathon PR Runs Down 24-Year Old Male, Forcing Him To Give Up Breathless After A Half Mile "He was quick but he burnt out quickly because he didn't have the stamina. He gave up but I didn't." Canadian Cancer Society Teams Up With Running Store To Encourage People To Quit Smoking By Starting Running "Early research studies have also shown that physical activity, such as running can help about 25% of smokers to successfully quit compared with only 4% who try quitting cold turkey." 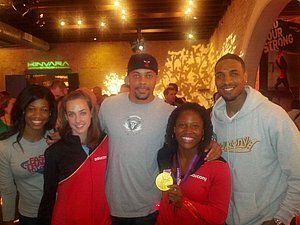 Sanya Richards-Ross Talks About Beijing Disappointment, London Glory, And Trying To Break Her Own AR In 2013 Speaking on her 2008 bronze she says, "Man, every time I reflect on that time and talk about it I realise that it still kind of carries a little bit of sadness for me. Sometimes I talk about it and I still cry about it, but it was a very, very, very difficult time for me." Good Read: IAAF Profile On Canada's (And Indiana University's) HJ Bronze Medalist Derek Drouin, Who Only A Year Ago Was Just Getting Off Crutches From Foot Surgery He offers some unique injury advice saying, "I would never recommend looking up your injury online. That's probably the biggest mistake I made." Amy Hastings Making Move To Providence Permanently To Train With Kim Smith And Molly Huddle And Be Coached By Ray Treacy She tells an interesting story on her experience dropping out of the Yokohama Marathon in November as she stopped and started running again many times, eventually realizing she had to run back to the hotel anyway. Houston On Sunday: A Solid American Field Actually Organized Their Own Rabbit To Take Them Through 2:12 Pace Includes quotes from the top Americans, including Fernando Cabada and Sergio Reyes, on their thoughts going into the race. That's A Lot Of Turns: 2:44 Olympic Trials Marathoner Nichole Porath Sets WR For Indoor Marathon At 2:57:34 She broke the previous record of 3:08:53. Jo Pavey's Husband And Coach Says Her Focus Will Be On The Track In 2013 "If Jo wants to go on until the next Olympics in 2016 then she can’t afford to run too many marathons. If she ran two a year that would be a total of 10 before Rio, which could be too much. So in 2013 we will do the same as this year and look to have a good track season." Angola: 59:47 Half Man Atsedu Tsegay (28:17) & Olympic Marathon Silver Medalist Priscah Jeptoo (32:31) Win 57th Sao Silvestre de Luanda Race In Front Of More Than A Million Spectators The race offers $145,000 in prize money and the men's title went to the guy we talked about recently in the WTW. The weather was HOT (86/30 WITH 72% humidity). Spain: Tariku Bekele (28:29) And Gelete Burka (30:59) Dominate 48th San Silvestre Vallecana The women's race was expected to be a battle between Burka and Linet Masai but Masai was WAY back in 2nd in 32:13. Italy: Imane Merga (29:12) Barely Wins As Syliva (16:21) Kibet 3-Peats At Boclassic Sylverlauf In Bolzano American Scott Bauhs was 5th in 29:32 just behind Sergiy Lebid. Austria: Leonard Komon Shatters Course Record In Peuerbach New Year's Eve Run Komon, the 10k road WR holder, edged junior 10k bronze medallist and 26:55 guy Geoffrey Kirui. In the women's race, European junior XC champ Amela Terzic edged 2:19 marathoner Irina Mikitenko. David Rudisha Named TFN's Athlete Of The Year For 3rd Straight Year - Joins Carl Lewis As Only Athlete With 3 Straight Wins Ashton Eaton got more 1st place votes but didn't get his WR in the Olympics. We might have given it to Aries Merritt, who won indoor and outdoor gold and absolutely obliterated the world record. TFN Releases Its Men's Top 10 World Rankings The rankings are bound to be controversial. 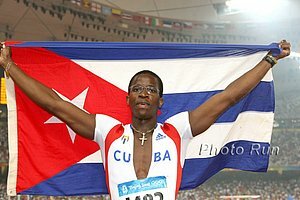 Olympic silver medallist Leo Manzano is only #9, for example. As a result, we thought it would be good to discuss some of the selections. Maybe we'll pick two more tomorrow. EatRunSwag Funny Running Christmas Carols We're particularly fond of "Ruppdolph the Face Masked Runner." Running Parody On "'Twas The Night Before Christmas"
Patrick Makau Reveals That He Ran Frankfurt Instead Of Berlin This Year Because Race Organizers Weren't Willing To Pay Him Enough Makau: "For someone to attempt a world record is not easy. Last year, I used a lot of effort to make the world record but in this case, we could not agree with them on what I was to get." After Justin Gatlin Says He Wants To Beat Usain Bolt In 2013, Jamaican Website Uses Headline: "Keep On Dreaming!" Mo Farah Will Train On Christmas Day - Will You? Who Says Martin Smith Can't Recruit Distance Runners? 4:02 HS Miler J. Burcham Commits To Oklahoma Burcham is a beast who ran 4:33 in 8th grade. World Junior Steeple Silver Medalist Gilbert Kirui Wins IRIS Lotto Crosscup In Burssels Over Good Field As Euro XC Champ Andrea Lalli Was Back In 7th Ethiopia's World Junior Championships 5,000 silver medallist Ruti Aga took the women's race after a battle with Ireland's 2011 and 2012 European champion Fionnuala Britton. World Junior 5,000 Record Holder Hagos Gebrhiwet & Berlin Marathon Champ Aberu Kebede Were The Winners At Yesterday's Great Ethiopian Run 10k Gebrhiwet ran 28:37 and Kebede 33:27 in the race founded by Haile Gebrselassie back in 2001. Justin Gatlin Says He Still Hasn't Given Up On Beating Usain Bolt "I've got world champion blood in me. It's not about times but about running to the line, being the first across it. ... I've got the Gatlin guns to throw at the Lightning Bolt and the Beast (Yohan Blake) and Tyson Gay." RunBlogRun Post On Why Kenyan Elites Are Starting To Move Away From Group Training Camps LetsRun has always said that Athletics Kenya always forcing their athletes to go to controlled training camps in the weeks ahead of major championships is a horrible idea. Toni Reavis Jokes That According To The Stats, The Marathon Could Be Considered For Elimination From The Olympics The IOC says Olympic sports should be "widely practiced around the world" and outside of Kenya and Ethiopia, only nine other nations have runners with times in the top 100 for 2012 (and those nations have only 1 or 2). Former Steeple World Champ Brimin Kipruto Looking Forward To Taking Back His Title At Moscow 2013 This will be his fourth World Championships appearance, with his first back in 2005. Spikes Magazine: "The Rise Of The Jager Meister" Jager says he got his start in soccer where he "used to run the entire game without needing a sub and I usually did it faster than everyone else too." 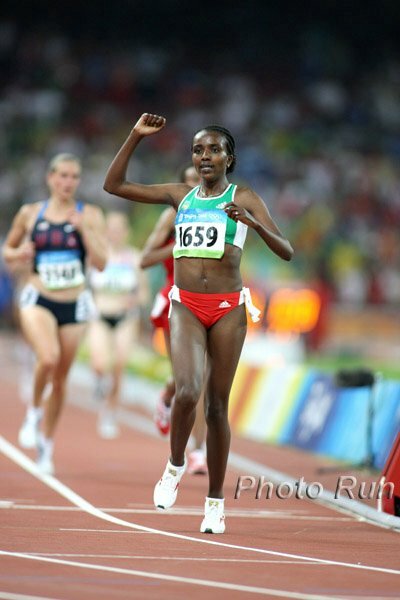 New Year's: World XC Champ Imane Merga Will Take On Olympic 5,000m Bronze Medalist Thomas Longosiwa In New Year's Eve 10k Race In Bolzano, Italy Scott Bauhs is also in the field as two-time World 5,000m silver medallist Sylvia Kibet headlines women's 5k. Former Drug Cheat David Millar Fears Armstrong Oprah Interview Will Be "Stage-Managed" Millar said: "Only Lance would get to have his moment of truth, if that’s what it will be, in front of Oprah Winfrey. It is not sitting in front of a judge or a disciplinary hearing being properly questioned about the things he has done wrong. I doubt very much it will be a proper interrogation." Oprah Spokesperson Says, "Armstrong has no editorial control and no question is off-limits." Also he's not getting paid. Good Read: Writer Hopes That Oprah's Armstrong Interview Will Be An Actual Truth Telling And Not Full Of "Evasions And Self-Pity" The Past One With Marion Jones This is his last chance to come clean. Founder Of Pressure Group "Change Cycling Now": "Hey Lance, If You're Going To Confess You Better Do It Right" To Lance: "This really is the once-only lifetime opportunity. Confession is not about Lance Armstrong anymore, it's about everything and everyone else." British Cycling President Urges Lance Armstrong To "Turn Whistleblower" And "Name Names"
Tell-All Interview? Lance Armstrong Will Go On Oprah To Discus Doping Scandal In His First Interview Since USADA's Report/Lifetime Ban The 90-minute interview will air on OWN: The Oprah Winfrey Network at 9:00 p.m. ET on Thursday, Jan. 17 on and will stream live at Oprah.com. *Oprah.com Press Release The interview will be conducted in Armstrong's home in Texas. Travis Tygart Says That Lance Armstrong Once Tried To Donate Around $250,000 To USADA Lance's lawyer says it never happened. Will He Confess? WP Say They Also Have A Source Confirming Armstrong Went To USADA To Talk About Confessing But Claim Talks Have Stalled Now "The dialogue that was launched and has since halted appears to be part of a three-way chess match among Armstrong; USADA." Another NY Times Article Speculating On A Possible Armstrong Confession They hypothesize USADA might lift Armstrong's lifetime ban if he confesses and provides information on how he successfully avoided testing positive for so long. NY Times Article Says Lance Armstrong Is Considering Confessing And Has Even Met With USADA Head Travis Tygart The rumor is he wants to make a deal so he can still compete and not face legal consequences for lying under oath during his trial. IAAF Releases New World Championships Standards For Moscow 2013 Some standards got tougher, such as the men's 5,000 going to 13:15 from 13:20, while others got easier, such as the women's 5,000 going from 15:14 to 15:18. Former 1:44 800 Runner Ikem Billy Says He Was Paid $10,000 To Throw Race To Seb Coe In 1989 *MB: Was the Ovett-Coe era manipulated by Andy Norman? Tyler Hamilton: "You hear very little from Lance, but I think this will not be a permanent state. I fear Lance will hit back." "I think he is suffering a lot. He is a very proud person and thinks that - like Atlas - he can carry the whole world on his shoulders. Now everything is gone, the honour and the glory. I think it will tear him apart that he is no longer a hero." Japan's #1 Male Collegiate Runner Suguru Osako (13:31 5k, 27:56 10k, 1:01:47 Half) Will Be Joining Alberto Salazar And The Oregon Project He'll be running for the corporate Nissin Shokuhin team following his graduation in 2014, but live in Oregon and train under Salazar for the OP. Christmas Has Us Emotional - Is The Meaning Of Life Love? IAAF Looks Ahead To Dubai: 2:03:06 Man Moses Mosop Battle Martin Lel And Yemane Tsegay Mosop lost to Tsegay at Rotterdam last year when Tsegay ran 2:04:48. Ethiopia's 2012 Dubai champ Ayele Abshero (2:04:23) is out with an injury, but Dubai will also host the marathon debuts of 4 sub-60 minute half marathoners. Women's Race: 2011 & 2012 Winner Asselefech Has Pulled Out With Injury, So Paris Champ Tirfi Tsegay (2:21:19) Will Be The Favorite She'll be up against Toronoto Marathon Champ Koren Jelela (2:22:43).